After a powerful and refreshing speaking engagement at a ladies retreat this weekend, I got the news of a dear friend’s loss. Now my heart is in a dual state of joy and sorrow. I have just experienced the sweet satisfaction of vulnerably sharing with strangers the revelations God has given me and of witnessing many Supreme MakeOvers in these now-friends who seemed eager to learn how our Creator (the Supreme Stylist!) feels about their individual beauty. My excitement is soaring high as I was blessed to also share my 11-year-old daughter with them to minister in song. Victoria’s and my dreams are coming true together; God is so good! Yet my heart is wrenched as one of my closest friends is enduring one of the fiercest storms of her life – her daughter’s dreams have been shattered by the sudden and unexpected death of her boyfriend. 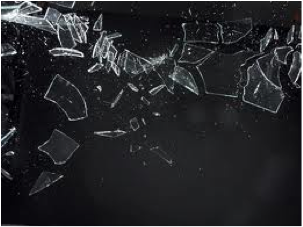 Devastations and disappointments, no matter how big or small, break our hearts but as Beth Moore says in her study on David, “…a heart dropped from 90 feet shatters, splinters, and scatters differently than the one dropped from 10 feet.” This is a 90-footer. As Christians, we are commanded to “bear one another’s burdens” (Galatians 6:2), and to “Rejoice with those who rejoice, and weep with those who weep.” (Romans 12:15) Anyone who has experienced heartbreak knows the enormous mess the scattered pieces leave us with. It’s a cleanup that should be done carefully, and should not be done alone. Unfortunately, there is a risk that we take in picking up the splintered pieces of a friend’s heart – the sharp glass might pierce us in the process. We may say the wrong thing and look like a fool, we may make her cry, or we may end up feeling her pain so deeply that we cannot handle it ourselves. Too often our insecurities cause us to turn the other way with a “Thank God that’s not my mess” attitude or an impotent “Lord, help them” prayer. As a woman who has lost a child, I must be careful not to do this myself, since I tend to guard my heart diligently from stories of loss that bring back my own grief. Yet I know that I need to take that risk, or my pain can be wasted. We go through winter seasons in life in order to understand the spring and appreciate the summer. How foolish would we be if we never share our revelations with our friends, who are experiencing the dark emptiness and see no evidence of hope; we would be selfish not to show them that the leaves do return and the flowers do wake. If you know someone grieving today, I encourage you to fight your fears of vulnerability and step out in the strength of the Lord to weep with those who weep, even if your own heart is in a season of rejoicing. I can tell you that when others have done this for me, their sacrifice brought a bonding between us that will never be broken.